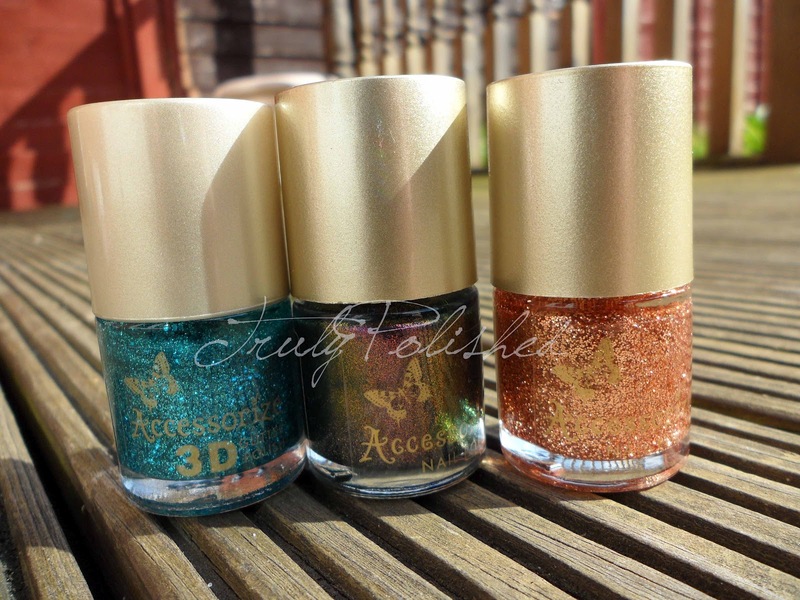 Today I have a haul post for you! 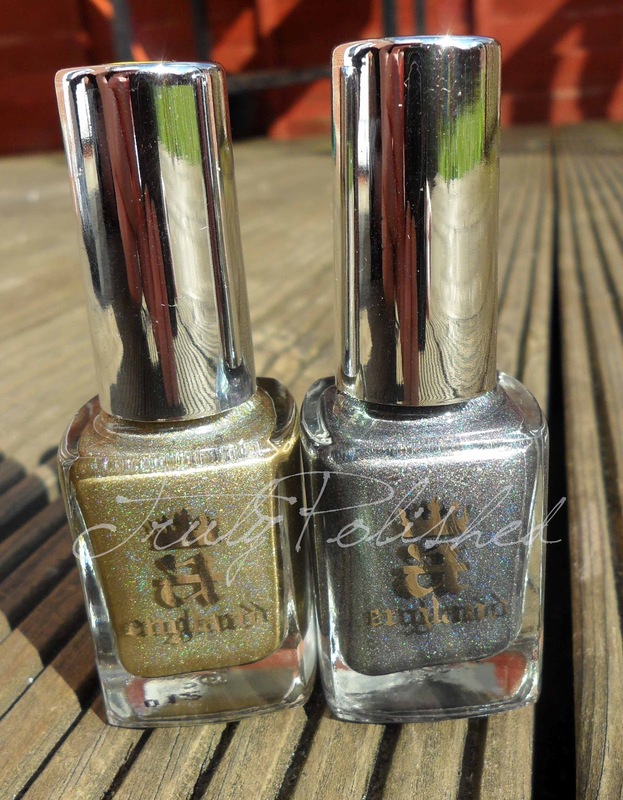 I did have some pictures ready for a post but once I got them onto the computer my polish looked all dented! These are the polishes I've acquired in the last few days. 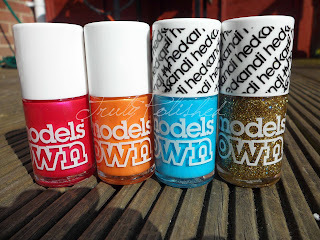 The Models Own ones I bought on Monday and the rest were bought today. 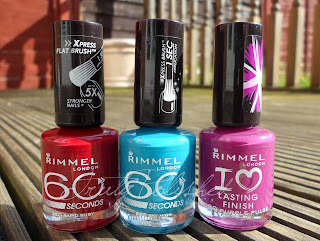 The Rimmel Rapid Ruby is a back up for the one I have now which has gone a bit gloopy! I think I'll use the old one for stamping now and the new one for polishing, it's my favourite (and still only) red! The A England polishes came as a surprising bit of nail mail after my shopping trip. I ordered them when I was on holiday in the 30% off sale to celebrate Adina's cat Tristam's birthday and only got the shipping notice yesterday! You might notice I have stickers on top of some of the bottles, this is so I know what I've swatched. It makes life SO much easier when I look in my nail polish box to find something to post about! 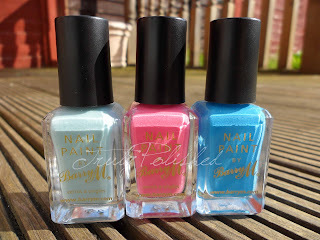 Click "Read More" to see close up photos of these polishes by brand! The way I'm going now I have about 50 polishes that need swatching! I need a day where I do nothing but swatch but right now it's not happening! Enjoy the photos and I'll be back with an amazing polish tomorrow, I don't think I can resist those A Englands for long!! !